Because I am one of the luckiest girls in the world– and a member of Clever Girls Collective– I am headed to Detroit next week for a whirlwind two day adventure. 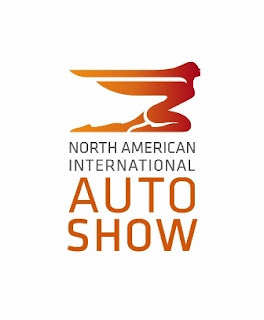 I'll be one of a hundred green, tech and lifestyle bloggers from all over the world (ten countries in all) participating in an exclusive Ford World Headquarters Tour, including a special Green Driving Technology Event, and media-only preview of the North American International Auto Show. Exciting, no? I am excited to learn about Ford's sustainability initiatives and, of course, to test drive some of their new models. I am also anxious to hear Stewart Brand, author of counterculture classic The Whole Earth Catalog and, more recently, Whole Earth Discipline), speak about the importance of environmentalism meshing with technology. It's refreshing to hear about companies taking a forward-looking approach as they consider their impact on the planet as well as their bottom line. Look for the #FordGreen hashtag on Twitter to keep up with our progress next week. That sounds so cool! Can't wait to see your updates. I totally missed the memo. *bawls* Have fun!!! Can't believe I opted not to follow through on that opportunity. Sounds like it was GREAT. I'd love to have seen what Ford has in store for greener driving (since I'm a hybrid driver). Can't wait to see you on Monday night!